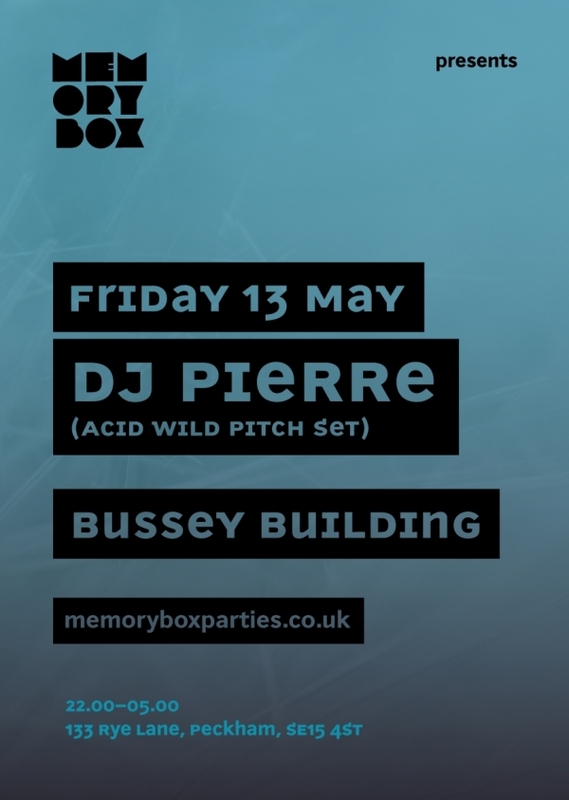 DJ Pierre returns to Memory Box in London on Friday 13 May. Apparently documented as the creator of acid house with his seminal ‘Acid Tracks’ as part of the group Phuture, alongside this he solely created his Wild Pitch sound, a sound which will be his set at the gig. He played his first Memory Box in July 2015 and apparently it was one of the best Memory Box parties so far. Now he’s back to play an intimate loft party at the Bussey Building. His last Memory Box indulged in a history of the Roland TB-303, so continuing with the acid theme and opening it up wider, he’s got full reigns to take you on a complete Memory Box ‘Acid Wild Pitch’ journey in this intimate warehouse loft setting. Also playing is Memory Box creator Robin Ball with his style of acid warehouse grooves including his own productions, plus Memory Box bootlegs and retro acid house tracks. Memory Box is a project that celebrates the influences of today’s electronic music scene and aims to encapsulate some of the most memorable moments in its time. Their party covers the history of electronic club music, hearing its origins from the legends and luminaries whilst exploring the influences the past has on today's music and how we shape the future. 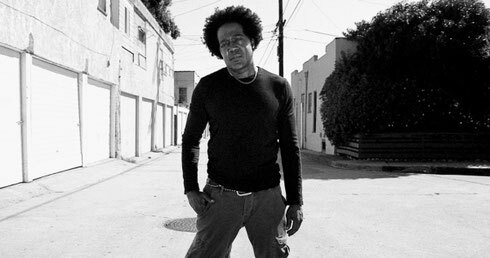 Previous guests have included Farley Jackmaster Funk, Nightmares On Wax, A Guy Called Gerald [Live Jam], Egyptian Lover, Greg Wilson, DJ Pierre, Luke Vibert, Darren Emerson, Hardfloor [Live] and many more.